A photographic reproduction of the finished painting, a short biography, a bibliography, and a detailed list of notes and sources that are fascinating reading in their own right make this an authoritative as well as beautiful book for readers of all ages. 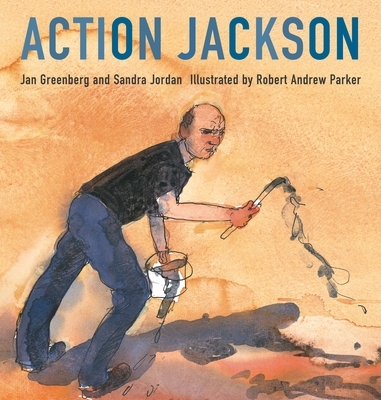 Action Jackson is a Sibert Honor Book, a New York Times Best Book of the Year, and a Publishers Weekly Best Book of the Year. Robert Andrew Parker who knew Jackson Pollock as a young man, is a fine artist and printmaker whose work often appears in publications such as The New Yorker. The illustrator of the Modern Library's edition of Stendhal's The Charterhouse of Parma, his numerous children's books include Grandfather Tang's Story, Sleds on Boston Common, and Cold Feet, winner of the 2002 Boston Globe-Horn Book Award.